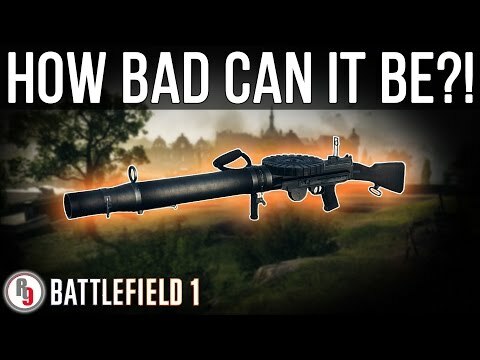 Lewis Gun Optical: Is it really that bad? The Lewis Gun Optical is currently the least used LMG in Battlefield 1. So I decided to take a closer look at the stats as well as to test it out for myself, in order to see if it was really that bad. Has anyone else tried out this particular LMG variant? If so, it would be great to get your opinions on this gun! That's why it's the starting weapon for support. As soon as you can, dump it for something else...like the BAR. At least the other MG (whatever the name is...french sounding one) is useful at long ranges. I like the gun, but don't use it anymore for the same reasons. I hated the optical sight from day one. It really does give you that false sense of security. You really have to burst fire the gun to get that medium range effectiveness. You only have one kill with it? It's not that bad, I've used all Lewis guns to at least 100 kills, and my KPM and accuracy with the optical variant is a lot higher than the other 2 variants. I still prefer the suppressive variant because of it's larger magazine, bipod and excellent clear sights. Usage percentage of weapons is a really poor basis of how "good" a weapon is. The only real thing you can draw from that stat is what weapons are easier to use due to having a lower skill floor. One might think, oh wow, the sweeper variant is being used 7x more than the other 2 variants combined, it must be a great weapon. When in reality the other 2 variants are better weapons than the sweeper. The only saving grace with the sweeper is that you get to be lazy and hold down mouse button 1 and it comes at the cost of weapon performance. So the sweeper is easier to use and is at the top of the usage charts while being the worst of the 1907 variants. Yep. I only used it once or twice. The sights were annoying. The burst fire comment was meant to be for the Lewis Gun in general. Not just the optical version. The bullet damage is the same. Are you sure you're playing BF1? All the LMG's (including all Lewis variants) become more accurate the longer you hold down the trigger, at all ranges. So burst firing is not recommened at all since you have to cope with first shot recoil and don't gain any spread advantage for doing so, in fact you "gain" a disadvantage. The BAR is the only viable LMG to be honest, both close quarter and range, even hip fire (especially hip fire). All the other ones are pea shooters, they have abysmal time-to-kill, especially the Lewis at range. I hadn't played BF1 in months and I thought I read Dice buffed the lesser LMG. Nope, BAR still op, rest still crap. How can they mess up weapon balance so much with such a low amount of weapons? BF4 was nowhere near as bad. Yes, I think a bipod is a great attachment for the Lewis Gun. At least then you can get a stable platform while prone or behind cover. Shame the optical doesn't have one, I feel it should. I fully agree with you, usage percentage is just and indicator of the guns' popularity. In fact, I am hoping for a discrepancy between popularity and effectiveness, so that I can highlight some truly overlooked weapons. Sadly, IMO the Lewis Gun Optical is not one of them. Anything optical is more of an hindrance than help. The optical is ok but all support gun rely on accuracy and the optical isn't an aggressive gun because of it's slow rate of fire so without a bi-pod the gun is trash but the supressive and low weight variants at least have a overly decent accuracy. Unlocking a new the Lewis is F***** boring and just plain ret**. Dice likes to Troll players, sometimes i think they gone from making serious good games to making games that are suppose to troll players while laughing all the way to the bank. You mean the new Huot? This thread is approaching 2 years, mate.